While it's been some four years since Divine Ascension dropped Liberator, the band has been busy. On the strength of that album the band hit the road in Europe, sharing the stage with power metal luminaries like Stratavarius, Gloryhammer, and the legendary Blind Guardian. 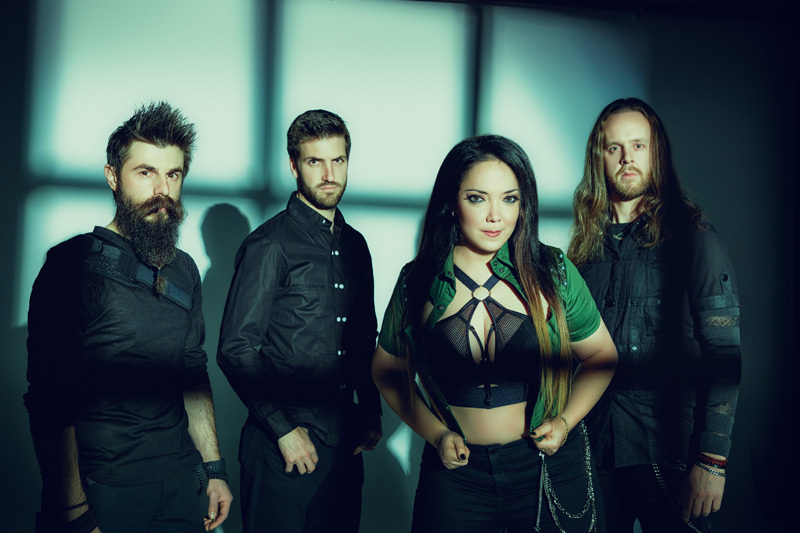 Now the band returns with their third full-length album, The Uncovering, which finds the band now a four piece, but also features a cameo vocal appearance by Evergrey's Tom Englund on Pursuit of Desire. The Uncovering is essentially a continuation of the advancements made with the previous album. Liberator found the band expanding their power metal arrangements into the realm of progressive metal. While not overly technical, you will find the songs to be more dense and elaborate. 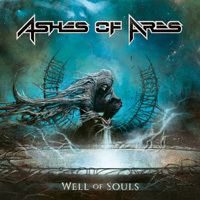 Mostly this comes in the juxtaposition of tempos and time signatures, instrumentals and compositional elements. What has not changed is the heavy bottom end: the bass and drums are still bombastic with the drumming exceptionally powerful, frantic, and frenetic. 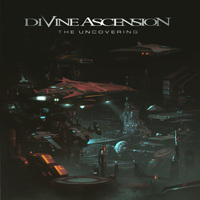 Also, Divine Ascension still embellishes their songs with synth symphonics for more orchestral bombastic pleasure. Yet, more familiar compositional parts return like lingering piano melodies, choral vocal arrangements, frisky guitar solos, and those often timed and tune with synth solos. Here's some songs of interest. For some pure prog elaboration, you'll find it within Prisoner, Bittersweet Divide, and One Step Beyond Here, notably with metal fusion in the third quarter. With New World, the combination of bass, drums, and synths start the song, but also make up a substantial portion of the arrangement with a solid rise after the midpoint. Revolution Phase is representative of Divine Ascension's twist of heaviness with prog but then, in the center, you'll hear a small breakdown and something akin to an old Hammond organ. While the opening track Evermore has its colorful prog moments, it also has its segues of racing power metal. At the end of the day, The Uncovering proves that Divine Ascension is going from strength to strength as they continue to develop and play with the creative combination of power and progressive metal. Recommended. The Uncovering proves that Divine Ascension is going from strength to strength as they continue to develop and play with the creative combination of power and progressive metal. Recommended.